IEP goal writing is another topic that comes up often at my staff meetings. With the standards for goals constantly changing it’s important to stay flexible and know that at any moment there may be a new way of writing goals. My schools haven’t started incorporating state (Massachusetts) standards into speech and language goals yet, so we will have to tackle that when it comes. Our newest update is including baseline information in along with forecasted goals for each student. 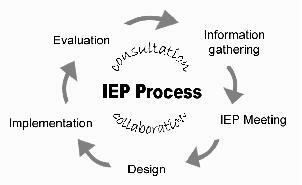 For example, “William will improve his ability to answer comprehension questions after reading passages from 60% accuracy to 80% accuracy.” Wording the IEP like this allows anyone reading the goals to see where the student skill level is at the start of the IEP period and where the clinician wants them to end up when the IEP period is finished. Despite constant changes, there are a few key concepts you should always keep in mind. Because there’s no standard way to write IEP goals, you should always write them as if they will be used by someone else. Think of it this way: if a student moves and their IEP travels with them, will whoever is on the other end be able to pick up where you left off? By writing for someone else, you’ll improve your own understanding of what to do. Oftentimes when we revisit goals, it’s hard for us to remember exactly what our thought process was. In this case, the “other person” is you! When it comes to more complex issues, like social skills, writing IEP goals can be particularly difficult because goals end up sounding ambiguous and indirect, rather than specific and easy to measure. Will the person on the other end understand exactly what you are trying to accomplish? Instead of writing goals like this one: “Student will improve interactions and participate in conversations with peers”, try to focus on more specific skills, like “taking turns”, or “topic maintenance”. In contrast, this goal: “By the end of the IEP period, the student will recognize and use appropriate body language, tone of voice, and facial expressions with 80% accuracy to participate in classroom discussions and structured communication activities in 3 out of 5 opportunities as measured by the SLP’s data collection or classroom teacher observations.” is very specific and clear. You can combine some skills into one goal, but be careful not to overload an individual goal. As Pearson’s law states: “That which is measured, improves. That which is measured and reported, improves exponentially.” Determine how you will measure and collect data before you write the goal. If the data collection method is already laid out already for you in the goal, not only will the goal itself become clearer, standard measurement will lead to more clarity in reporting and remove any potential for inconsistency. Think of different places the students will use the skills you are targeting before you write the goals. This promotes generalization and makes your job easier. Just as deciding how you will record data before you write the goal makes it easier to measure, thinking about all the different settings the student will be in will help you teach the skill. It is so important to think about the whole child rather than only in the setting you treat. If you’re working on conversation skills, vary the communication partners (peers vs. adults, familiar vs. unfamiliar) and the locations of conversations. In a school, I have many opportunities to alter how I set up sessions. I can move to different locations such as the gym, outside, cafeteria, etc. I also have many people around to choose as communication partners. Writing goals as specific as possible makes every step of the therapeutic process easier. It helps you plan sessions, take data, and generalize the skills you’ve taught. By thinking of where your students will use their skills and hopefully generalize them, you save yourself time and effort.